Arthur D. Levinson, Ph. D., is Chairman of the Board of Apple Inc. and Chairman and former CEO of Genentech. After graduating from Princeton with a Ph.D. in biochemistry in 1977, Levinson worked as a postdoc at the University of California San Francisco for Mike Bishop and Harold Varmus who later won the Nobel Prize for their research on cancer genes. 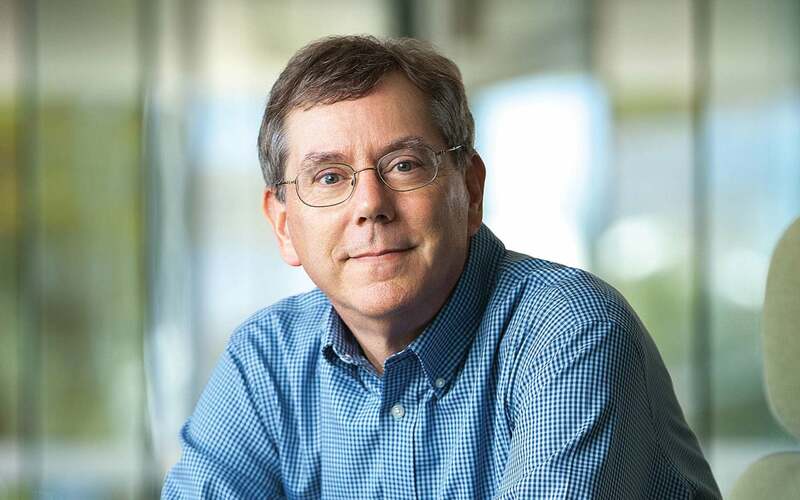 Early in his career, Levinson was being recruited by numerous institutions including Cold Spring Harbor Laboratory, when he opted to join the newly formed Genentech as a research scientist. There, he quickly assumed leadership roles, and helped grow Genentech into the founding company of the biotechnology industry. Using recombinant DNA technology, Genentech developed a new generation of therapeutics for infectious disease, diabetes, heart disease and cancer to benefit millions of patients worldwide. In addition to serving as Chairman of Apple, Inc. and Genentech, Levinson is Chairman of the Board of Amyris Biotechnologies, Inc., on the board of directors of F. Hoffman-LaRoche Ltd., and a director of NGM Biopharmaceuticals, Inc., and the Broad Institute of MIT and Harvard. He also serves on Genentech’s scientific research board, the board of scientific consultants of the Memorial Sloan-Kettering Cancer Center, the Industrial Advisory Board of the California Institute for Quantitative Biosciences, the advisory council for the Princeton University Department of Molecular Biology and the Advisory Council for the Lewis-Sigler Institute for Integrative Genomics. Levinson served as a director of Google, Inc. from 2004-2009. Levinson was inducted into the biotech Hall of Fame in 2003, and BusinessWeek named him one of the “Best Managers of the Year” in 2004 and 2005. Institutional Investor named him “American’s Best CEO” in the biotech category for four years in a row (2004-2007). In 2006, Princeton University awarded him the James Madison Medal for a distinguished career in scientific research and in biotechnology. Also in 2006, Barron’s recognized Levinson as one of “The World’s Most Respected CEOs,” and the Best Practice Institute placed Levinson on their “25 Top CEOs” list. In 2008, Levinson was elected as a Fellow to the American Academy of Arts & Sciences and Glassdoor.com rated him the “nicest” CEO of 2008. In 2010, the Biotechnology Industry Organization honored Levinson with the Biotechnology Heritage Award and the San Francisco Exploratorium with their Director’s Award. Levinson has authored or co-authored more than 80 scientific articles and has been a named inventor on 11 United States patents.